Check out this new fun way to reach from one place to another. 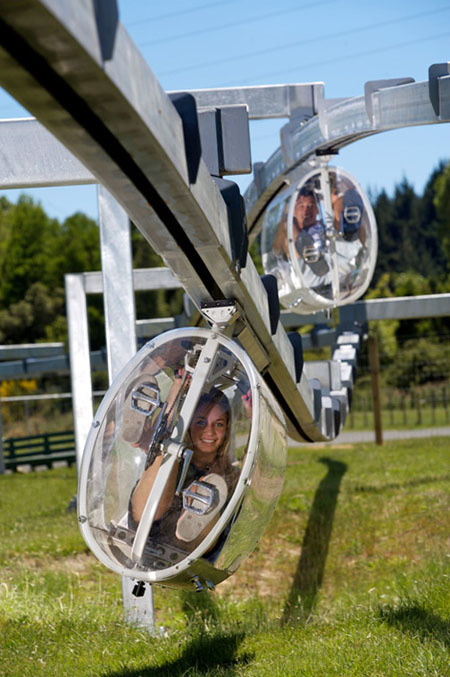 “The Shweeb”, (Pedal Powered Monorail) is really cool and best example of green fun. This concept can surely change the way of public transportation. If you are planning to stay in a futuristic city or town then it will definitely have this amazing concept. This monorail consists of 200 meter long overhead rail circuits that vary in height. This Pedal Power concept is very efficient and good in performance. Once you have entered in this monorail, you will just feel like you are having a roller-coaster ride. So it’s like a bike . . . but way more expensive and you can go less places. Plus you’d probably die of heat stroke trying to pedal any distance inside one of those plastic coffins, er, bubbles. I do not think that this would actually work for mass metropolitan transportation. It is also not disabled-friendly, and is basically a moving gymnasium. Plus there are no ‘creature comforts’ involved. No one wants to get to work tired, sweaty and dressed in work-out gear! because walking is so inefficient. I think Armen said the most, but also, you will have a problem when you’re in a hurry and the person in front of you are less fit than you or are having a nice and slow ride. The handlebar is one of the advantages of regular bikes. I have been on this and it is unbelievable. I even met the inventor. Urban transportation is the model they are after. This thing uses only 50% of the energy of a racing bike to go same speed so a granny can get in and slowly pedal and move at reasonable speed (they said an 82 yr old has ridden this in race mode!). The real efficiencies are apparently moving in trains when a number of pods come together. Then energy required by all participants is even less. On the short 200m track some people can get up to 50kph with an amazing kick round the corners. When i finished i pretty much stopped pedalling altogether and did a whole lap easily, in fact had to go another before slowing down enough to stop. These boys are onto something and apparently already in talks with people around teh world re new racetracks and transport models. 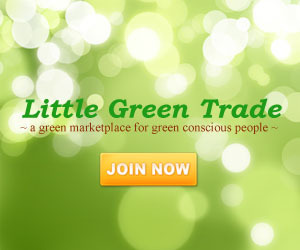 I say good luck to them – nice to see a tangible “green” option rather than just a load of criticism from the masses! Pete, I agree, i went on this yesterday. It’s such a fabulous ride and the speeds and sensation you get are amazing. This is a sure fire success story. Good old NZ comes up with yet another one. PS – if this does become transport they need a place to put bags and kids! PPS – wish i had some money so i could franchise this – anyone got any spare cash?? Where do you pee in an emergency? If you really want to convince people, you need video of a variety of people (ages, sizes, etc.) and show how they get in, get out, how fast they move, how hard they have to work. Show it in action. Still pictures just aren’t enough. I have my doubts about going very far or fast in this thing, especially when going uphill. plastic + metal + sun = ppl thinking this is gonna make you sweat, or die from heat stroke. Although I suspect speed and energy expenditure will be significantly lower than the mentioned bike, and this does look even more efficient than a recumbent bike, this won’t take off from its conceptual form. I love this idea of glamor models coming out in skimpy clothing to pedal in clear pods for everyone’s view. Obviously this is the wave of the future and how green energy is going to save the world. Yes, I’m cynical of this. So should you. You WILL get stuck behind slow people. You WILL be overheated and smelling the disgusting smells of yourself intermingled with previous riders. You WILL have regular vandalism and homeless people doing god awful things in them. And YOU WILL be paying heinous amounts of money for it. Enjoy the lack of reason and common sense your representatives have with your children’s money. Slow people would be a problem but so long as you can train the pods together in motion without a big jarring impact it wouldn’t be that hard for a train of faster fitter people to adopt a slower person with little if any extra expenditure of energy so long as the slower person kept putting in at least a token effort. The biggest energy expenditure would be fighting air resistance, it they can be drafted tightly while rear riders help push the front car through the wind it wouldn’t be hard to get crazy speeds. Overall neat idea but it’s too infrastructure heavy and there’s no overwhelming demand so it would never get implemented outside of a small test loop. You can get up to fantastic speeds even if you’re out of shape because it’s set up like a recumbent bike. There’s nothing revolutionary about this at all; it hasn’t been done before because it’s a silly idea on its face. Woah imagine hotboxing one of these……. I would say this has a bright future as a theme park attraction, add in A/C, stylized or themed cars, or maybe even a water element or some heartline roles and you will have a great family ride. I am a big advocate of pedal powered transportation, but I am not sure I would want to be stuck behind a slow poke on the single track of the rail. Can you pass someone? on that basis we’d of decided we’ve got legs so why build a car. why is it that people with apparently no background knowledge of transport and product design feel qualified to comment on innovations. this may not be a ‘good to go’ product yet but it has some fundamental design features and philosophies than can develop into a perfectly legible transport system. granted there are draw back like the overtaking etc. but the design principle is a good one. this offers an alternative to the bicycle. it would be safer as there is no interaction with traffic, more comfortable in bad weather and although it is not especially difficult, not everyone can ride a bike. also what about harnessing the energy created to power things such as street lamps, traffic lights and digital road signs etc? I’m with the masses on green house effect, although, it could have potential in smaller venues, such as malls. One question, when I get to my destination, how do I stop, and exit? hey guys, the inventor talked me through all of this. The racing velodrome is apparently just the proof of concept re mechanics, aero etc. The transport model is very subtly different and they have answers to all the questions on this blog (all questions i asked). Kinda exciting. Apparently their Uk company is up and running and some big guns are talking to them already re scenic and transport routes there and in Asia. Guess we are going to find out pretty soon! Armen worded this perfectly. i think i am pretty capable of walking or riding a bike. this invention looks boring and lifeless and tiring and secluded, and just looking at it makes me claustrophobic. and LOOK at those fake smiles those people have in the pics! i would never use this, ever. woot, where is this its awesome!